The 360 Camera accessory docks to the back of your Essential Phone, pulling power from the pin contacts. The data connection happens over a 60GHz wireless connection with the phone. There's a fan inside the camera that keeps it cool so it can record its 4K spherical video. 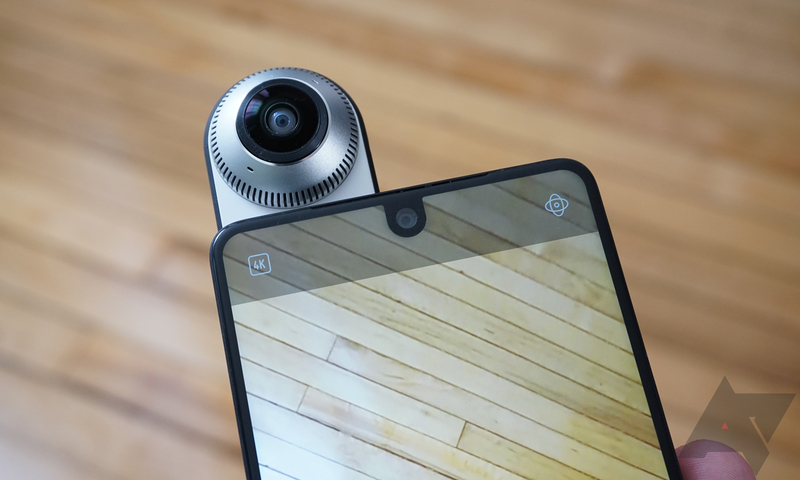 It's a good camera, but the Essential Phone requirement is what holds it back. Flash sale! Our award-winning 360 Camera and its portable protective case is now $24 for a limited time. Plus, free U.S. shipping! We saw this camera drop as low as $19 over the summer, but this is still a great deal. The $200 price tag is long-gone, but the camera does still sell for $49 most of the time. A 50% discount is nothing to sneeze at. The deal includes a free case (a $9 value) and free US shipping.